“We have been looking for the right opportunity and the right product for quite some time – I first heard the ShowMatch system two and a half years ago before its release and I was impressed. Since then there has been critical acclaim at the product launch in Australia and some great reviews of the product in use. We felt that the form factor was appropriate – and the tonality of the system suited most client’s needs, and for a small system it does get loud without losing control. We had used a demo rig on a show earlier in the year, and we recently installed a small system at Riverside Stables. We were again impressed at what we heard,” said Chris Dodds managing director of The P.A. People. 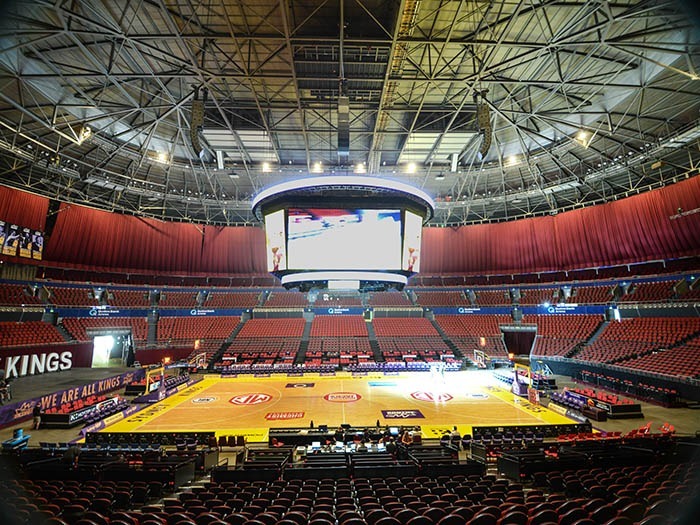 “A few weeks ago, we were asked if we would like to bid for the provision of Audio and Comms supporting the Sydney Kings home games at Qudos Bank Arena, and it seemed like a great opportunity to invest in a speaker system to support our communications system offer.” Chris continued. “We rigged the system for the first time on the Monday and then spent a couple of days rehearsing with the system. 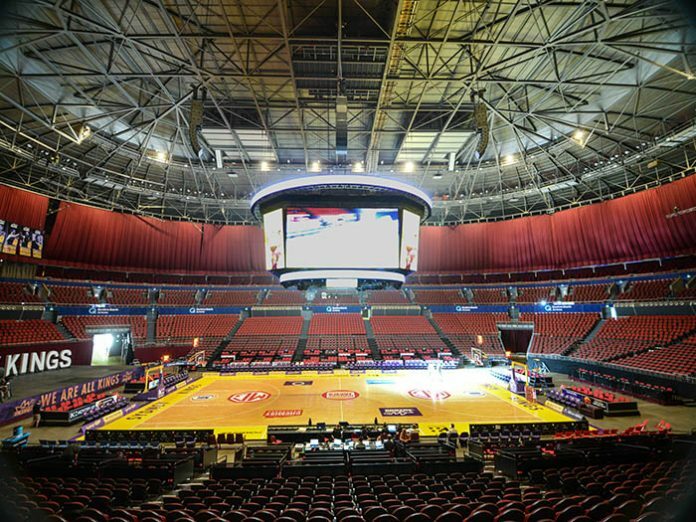 The rig for the Kings in Qudos Bank Arena consists of six arrays, each comprising eight ShowMatch cabinets and a cardioid bass array of three 18” SMS118 subcabinets. Each pair of main arrays uses a different combination of SM5, SM10 and SM20 cabinets to achieve the appropriate vertical dispersion.” Waveguides are available to tailor the horizontal dispersion from 55 to 120 degrees. “We have then selected 100-degree waveguides for the SM5 and SM10 cabs, and 120-degree guides for the SM20’s. That way we are able to match the dispersion of each cluster to the requirements of the venue in both vertical and horizontal planes” commented Anatole Day, system engineer for the initial arena install. “We also added four SM20 cabs on the lower ring of the gondola to help bring the image down closer to the action for the court side ticket holders” he added. “It is almost twenty-five years since we left the large-scale Audio market with the sale of our iconic Turbosound TMS-3 rig in 1995, but it is great to be back in the space with a new market leading sound system. We look forward to letting our customers hear what it can deliver for them” Chris concluded.